If you’ve ever had the sneaking suspicion that the so-called halibut on your plate might be a sea bass in disguise, it turns out your hunch was right. A large-scale seafood investigation found that unscrupulous fishermen and vendors mislabel an average of half of all fish sold, negatively impacting shoppers’ wallets and health–not to mention marine conservation. Have you ever had the sneaking suspicion that the red snapper on your plate may actually be another kind of fish entirely? Turns out, your hunch was probably right. A new report from Oceana, an international ocean-protection organization, claims that seafood may be mislabeled as often as 25% to 70% of the time, with vendors replacing species like red snapper, wild salmon, and Atlantic cod with cheaper and more easily accessible varieties, which negatively impacts not only shopper’s wallets, but possibly their health–not to mention marine-conservation efforts. Oceana’s researchers took the CSI route to identify the problem, DNA testing more 1,000 fish fillet samples from more than 50 cities. The result: Fish species were mislabeled an average of 50% of the time. Commonly mislabeled seafood includes yellowtail (labeled as mahi mahi), mako shark (labeled as swordfish), and sea bass (labeled as halibut). 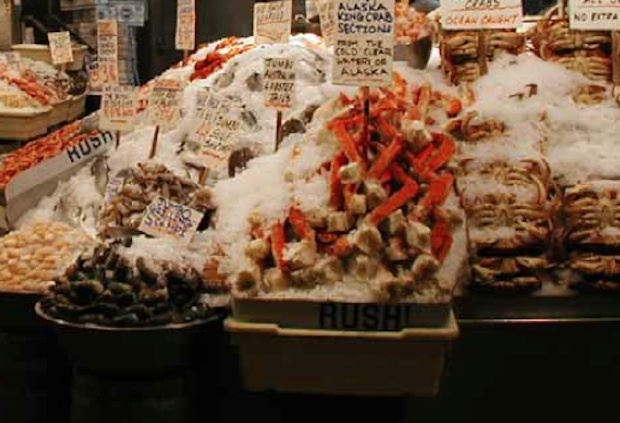 There are economic incentives for producers to mislabel seafood–they may want to avoid a tariff on a particular species, for example, or simply imitate a more expensive variety. And there is no incentive for producers to stop fraudulent practices, either: 84% of the seafood eaten in the U.S. is imported, but only 2% is inspected and less than 0.001% is inspected specifically for fraud. Allergens may be the most life-threatening risk of seafood fraud. Fish and shellfish are among the most common food allergies in the U.S., along with peanuts and tree nuts (HHS 2011). Failure to declare potential allergens involving shellfish, shrimp, and other species is considered an emerging problem for public health (Mafra et al. 2008). The World Health Organization has identified crustaceans, including lobster, crabs, and shrimp, as key allergens that must be identified on packaged foods based on how common severe allergic reactions can be. Fraudulent fish labeling also creates a market for illegal fishing by making it simpler to launder illegally caught seafood. Illegally caught species may be overfished–or fishermen may be involved in other destructive practices (i.e. fishing in protected areas or without the proper permit). The problem isn’t unavoidable. With the availability of DNA testing, the U.S. government could ramp up its fraudulent-fish inspections.